I thought, "say no more, say no more." Then I knew I had to share it with you. 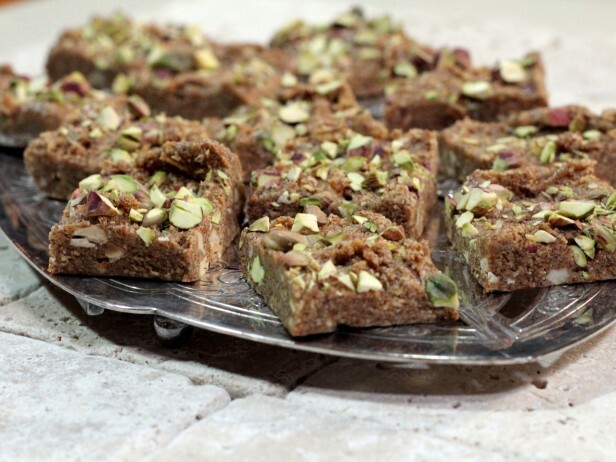 Above is a photo of Indian Fudge. Man, I love the Internet and how it helps me with my Bakery Travels, and I love that I can share my travels with you. Is it just me, or does stormy weather equal sweets? Is it just me, or does my little bakery traveler daughter have some awesome recipes in her High School Musical book? In case it's just me, and you do not know about Zeke's Chocolate Chip Cookies, well, then here you go...save this for a rainy day. You'll be glad you did! 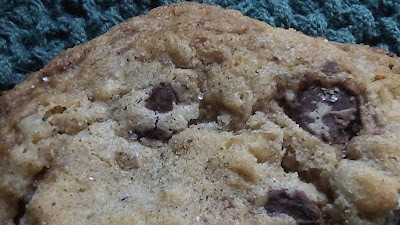 For my TOTALLY original chocolate chip cookie recipe I have shared and for which I have received rave reviews, go to my Enchanted Chocolate Chip Cookie recipe. If you ever try them, do let me know what you think! I have discovered a show that is becoming one of my favorite foodie shows. It is called Taste in Translation, and its host is the wonderful foodie chef Aarti Sequeira. I just love her. Knowing my penchant for travel and exploring the world in taste, you'll see why this show is now a favorite. 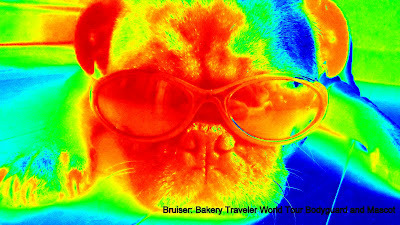 "Taste in Translation is an international taste-trotting tour of the world's most popular and flavorful food. You'll travel far and wide, over a mouthwatering map of the most delicious dishes on the planet as well as our top American favorites. To find out the REAL favorites, we'll check out diverse locations from four-star restaurants, to food carts, to private homes. Both locals and culinary experts will share their passion for their country's most beloved dishes along with a bit of the history behind the dish, some technique tips, and cultural lore." is a huge part of birthday parties in the country. If you recall, I reccently shared another recipe for Brigadeiros on my Ode to Saveur entry. I think this is kismet and I am a fool for not trying to make these, yet. They are officially on my To Do list! Bosnian Iced Coffee. See that gravel up in that glass? That's part of the deal and it is good. In fact, I think I have finally found a rival for my Starbuck's addiction. That's saying a lot, because I am that person who will spend an entire Saturday trying to emulate a Starbuck's recipe in my kitchen. I have the blog writers at Scarlet Lillies to thank. 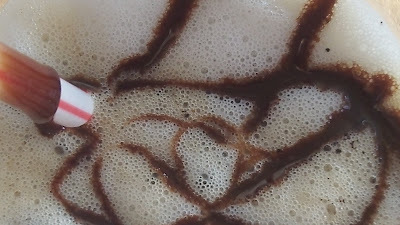 I'm not going to be dishonest...if I find a coffee recipe that might represent the country (and by "might" I know I am being flexible) I am visiting...then the coffee recipe has a 90% chance of winning over an actual dessert, like Bosnian Poached Apples, or other bakery item recipe. I love coffee that much. I think because the coffee is so super-finely ground, and then brewed over the fire for a good 20 minutes, the flavor rivals a good espresso that could be added to an iced coffee. Here it is chilled. I ended up with about half a cup of chilled coffee. 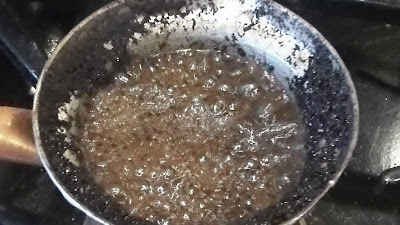 Next time I will double the recipe. The chilled milk right before I try to froth it. Now coffee has been merged into the frothy milk. I gulped all of this up in probably less than five minutes. Thank you, again, Scarlet Lillies. This recipe is a delight. My apologies if any part of this doesn't seem like authentic coffee from Bosnia and Herzegovina. But I can't help but think folks out there might like this, too! Put them together and you just might get this. Just in time for Valentine's Day...food love songs. Food love songs from Epicurious. A lyric poem in the form of an address to a particular subject, often elevated in style or manner and written in varied or irregular meter. A poem meant to be sung. On this upcoming Valentine's Day, I proclaim my love for Saveur. Above is a picture of a Chocolate Candy Heart Valentine. I know, right? 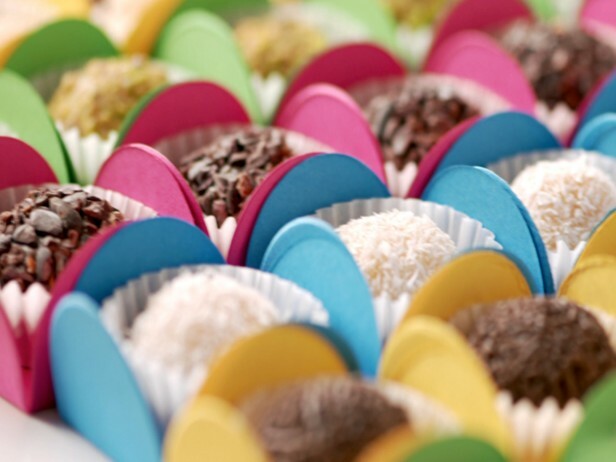 Above, you see homemade chocolates, called "Brigadeiros" from Brazil. Now, do you see why I love Saveur? do you know where your chocolate is...? While we're at it, do you know how our international Bakery Traveler friends honor this day? Are they all about the chocolate like we are? What does this message in the photo above have to do with international baked goods, you ask? Well, EVERYTHING. If we were tame folk, we wouldn't be exploring all the sweetness, would we? This weekend in Glendale, Arizona, is an event known as The Chocolate Affaire. Don't walk, DANCE yourselves there and enjoy all the beauty just in time for Valentine's Day and all that, too. Do we need an excuse to eat chocolate? 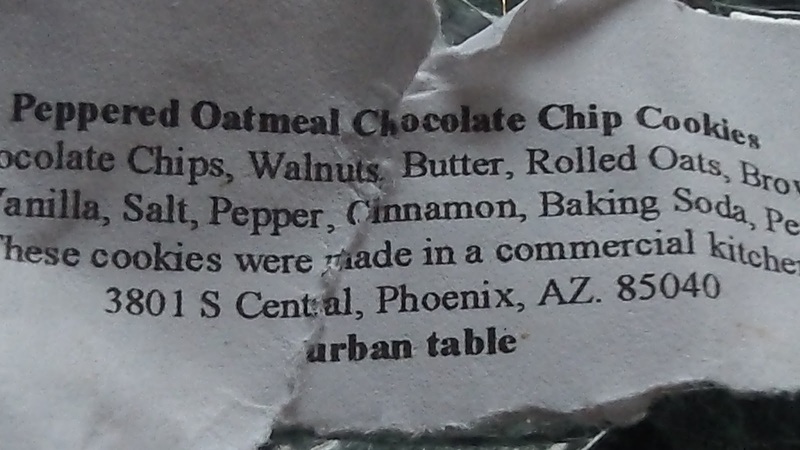 Behold, the Peppered Oatmeal Chocolate Chip Cookie from urbantable in Phoenix. You're wondering about the "peppered" part, aren't you? 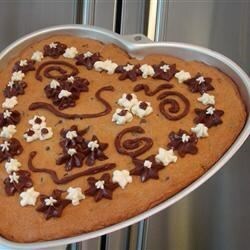 It's a fascinating, subtle "umph" that totally works with this cookie. 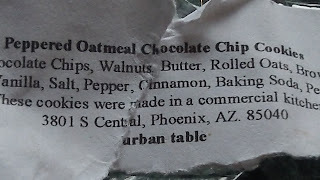 At first bite, I tasted the standard, quality, moist and perfect oatmeal and chocolate chip cookie available from many places. But then, I noticed it - like a flicker of peppery light on my taste buds. Pepper! But perfect - in fact, outstanding. The pepper makes this cookie stand out from its peers. It makes the cookie slightly addictive - kind of like, wow, is that really pepper that is working wonders here? Oh, let me take another bite to be sure. 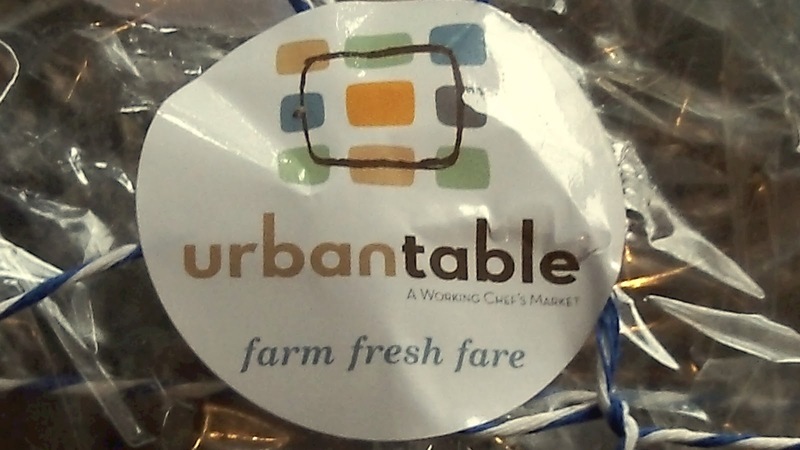 Urbantable Phoenix has a facebook page and their address is below. I had the good fortune of receiving one of their cookies from the recent Blended Conference. Thanks for sharing. Loved every bite!